This time last year, I never would have thought that participating in San Francisco’s AIDS Walk would lead me to raising $1,025 for the Bay Area Perinatal AIDS Center (BAPAC) & being on TV. Team Positively Negative/BAPAC was born last year as a way to promote Heather Boerner’s book Positively Negative. 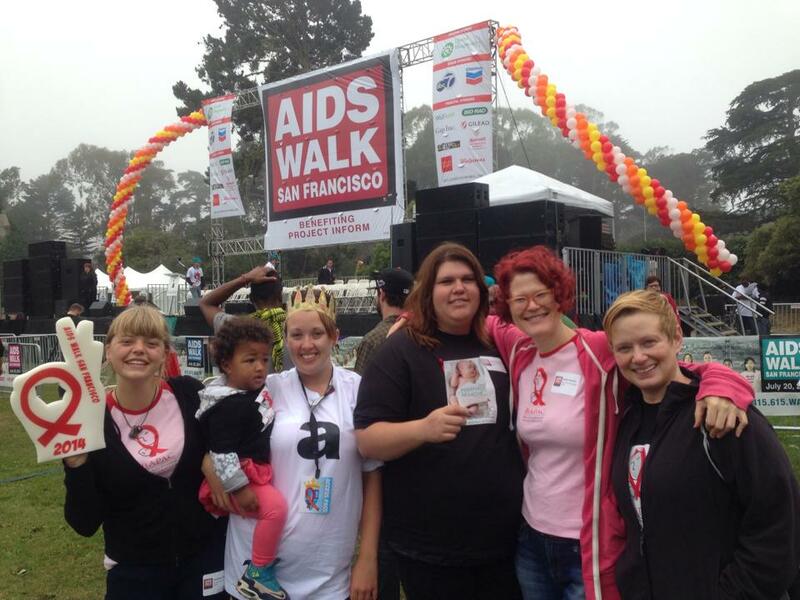 It evolved at a meeting I attended at Project Inform when I learned that other HIV/AIDS nonprofits could apply to be beneficiaries of the Walk. I relayed this information to Shannon Weber, BAPAC Director, and the team started raising money for BAPAC. Together, our team raised $1,400. The Walk was such an amazing experience for me, seeing all those people in Sharon Meadow who cared about this cause. 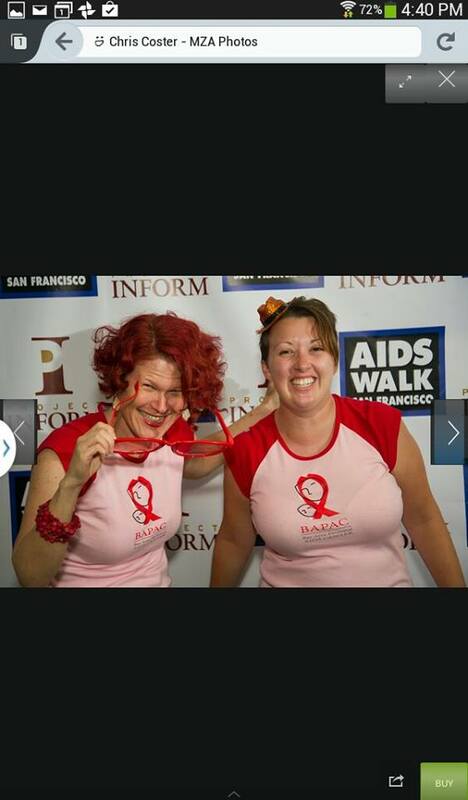 I was honored to go onstage & represent BAPAC, telling the world about how there have been no babies born HIV positive in San Francisco in over a decade. This was shown live on several TV news stations. The AIDS Walk is different from other fundraising events of its type because it doesn’t require any fee to register or any minimum fundraising goal. Anyone can sign up and walk to show solidarity and/or raise money. It’s very friendly and a lot of fun. Even people who can’t be there or can’t walk the six miles can participate as virtual walkers. The miles flew by, it was so fun. 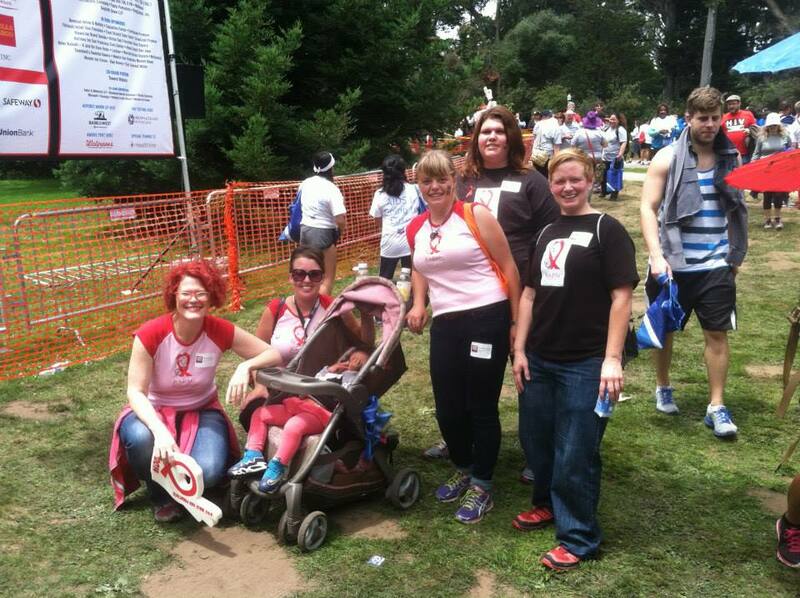 Our group (Paula Johnston, Heather Boerner, Dawn Marmorstein, Taft Weber-Kilpack, Valerie Brimmer, and myself) had a blast walking (or being pushed in the stroller in Valerie’s case), chatting, taking pictures, and eating the awesome free food provided along the way. 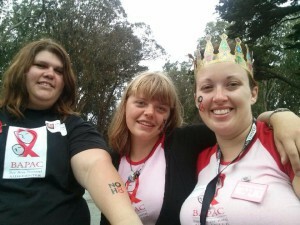 When I first signed up for the Walk, I didn’t think I’d be able to raise any money; my goal was only $100. However, after attending a fundraising workshop at Project Inform, I started leveraging my social media following. I was able to raise $300 from Facebook alone. It was a great feeling, and I became addicted. I gathered up my courage & told my church about being in a serodifferent marriage & having my daughter, Valerie. 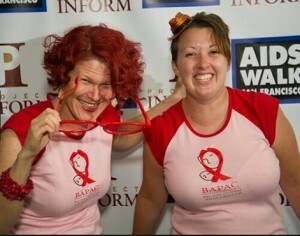 Then I told them I was fundraising for the AIDS Walk and that BAPAC was a beneficiary. After service was over, a crowd of people came up to me to donate. From the lady who could only afford to give $3, to several people who gave $100, I was so touched. Every couple of weeks after that, I gave a small reminder during the announcements & more people would donate. 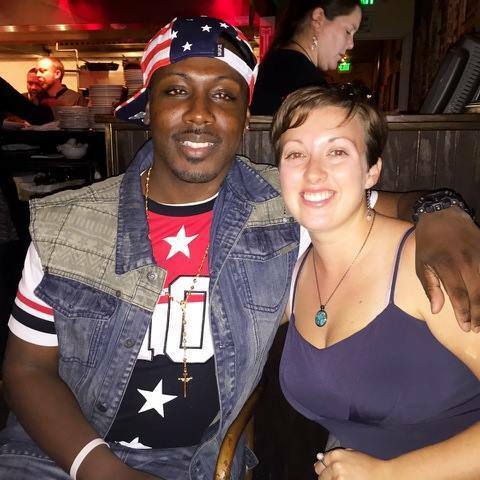 I raised $1,025 in total, more than I ever dreamed possible. On the day of the walk, we all got to go to the Star Walker/VIP breakfast because I could invite people with my Star Walker ticket and we were VIPs because of BAPAC being a beneficiary and me going onstage. It was great to share that prize with my team, I wanted everyone to be included. There was unlimited food and bottomless mimosas (which I didn’t drink because I’m in recovery, but still- they were there!). I also got a t-shirt, a foam finger, lip balm, pins, a picnic blanket, and most importantly, my Star Walker crown. 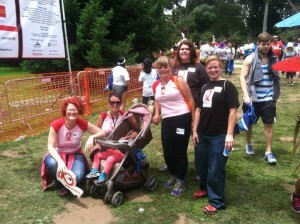 The AIDS Walk is one of my favorite things that I’ve ever done, it was a truly amazing experience. I will definitely be doing it again for years to come. For 2015, we are Team HIVE. Join us as a walker today or donate today!